ASK any woman and she’ll tell you there are days when her hair just won’t sit right. Here in the tropics, Clara has had more than her share of bad hair days. It’s pretty amusing when you think about it, especially since Clara is a puppet. “She normally has a nice hairstyle to go with her dress. But today, I can’t seem to do anything with it,” sighs Juha Laukkanen, who has been a puppeteer for 23 years. Clara is the chief character in Juha Laukkanen’s version of the Nutcracker Prince, which he performed recently for the children at Al-Hidayah Islam Kindergarten in Pasir Panjang, Selangor. The kids loved her – bad hair and all. "I try to tell European stories if I’m doing a show in Asia and vice versa. This way, I get to teach children about different cultures,” says Laukkanen. In Asia, he would narrate European folklore classics such as Hansel and Gretel, while in Europe, he tells an Asian dragon adventure or maybe even a story about Sang Kancil. Laukkanen performs about 250 puppet shows in day-care centres, schools and hospitals in his homeland Finland and abroad every year. In 1994, he became a Unicef (United Nations Children’s Fund) Goodwill Ambassador and, in that capacity has travelled to Europe, Africa and Asia. He won the Finnish State Prize for Children’s Art from the Finnish Arts Council. 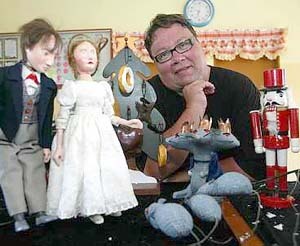 Laukkanen runs a children’s puppet theatre, Sytkyt, and is probably the only puppet actor in Finland who makes special puppet operas for children. He has over 500 puppets in his theatre but many of them “sleep while others work”, he explains. Laukkanen, 47, will be the first to admit that he’s a live version of J. M. Barrie’s Peter Pan, the boy who never wants to grow up. “I don’t like being involved in computers, business and finance figures,” says Laukkanen, who has an agent to handle his bookings. Laukkanen studied puppetry under the tutelage of renowned puppet masters at a university in Poland. Over the years, he honed his skills further by studying with various teachers from Thailand, Sri Lanka, Myanmar, Indonesia and China. “Different cultures have different styles of puppetry. 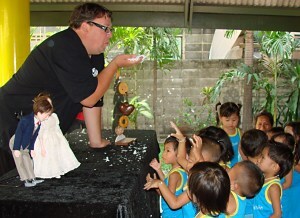 In Thailand, for example, the puppets are like dancers and involve a lot of complex hand movements. In Mandalay, it was challenging as I had to learn how to handle 16 ropes at once to move the limbs of a marionette,” shares Laukkanen, who got hooked on puppetry when he was a child. His grandparents often took him to the theatre and he fell in love with the fairy tales and fantasy world. His favourite story is The Little Prince, a French tale about a prince stranded in a desert and his unique encounters in his bid to get home. “It speaks of travelling to strange places, meeting people, childhood, friendship, love, death and a host of emotions,” says Laukkanen, who confesses he has yet to work out how to perform the story in puppet theatre. Telling a story may seem simple enough, but Laukkanen says a lot of hard work goes into the preparation, especially if it’s a complicated performance, like an opera. He needs to find ideas and inspiration for his music and drama, he says, and only once that part is solved can he “sleep with peace of mind”. Laukkanen also conducts puppetry workshops at which he teaches movements and expressions. It’s a chance for children to get involved. “How the puppets look is not so important. It’s how you communicate your story. And it also helps children express themselves. 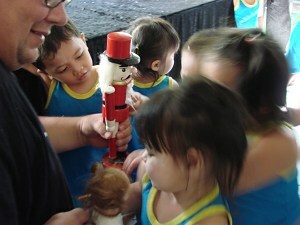 Puppet theatre encourages creativity and imagination, and it’s fun and interactive. 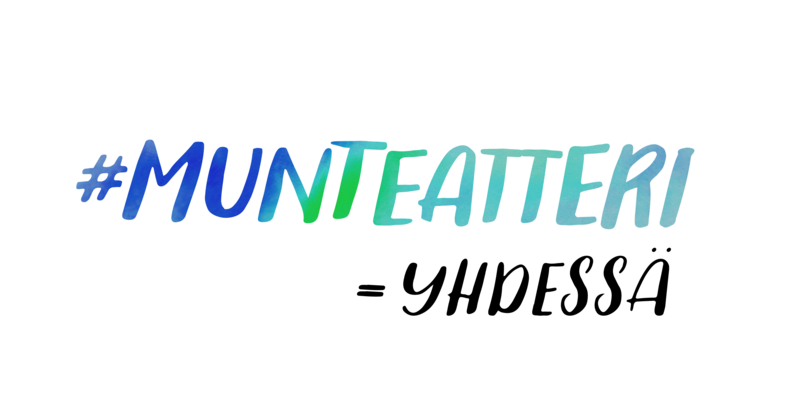 It can help boost self-esteem and confidence in children. “When I first picked up puppetry, I spoke in a monotonous tone and my puppet master said I had much to learn if I wanted to connect with children,” he says, adding that puppetry is a good way of teaching difficult concepts to children. During his week-long visit to Malaysia, Laukkanen, who was invited under Nokia’s Helping Hands programme this year, also visited the Yellow House Youth Club, Tunas Harapan homes in Kuala Selangor, Cheshire Community-based Rehab programme and Sentul Harvest Home in Kuala Lumpur. Helping Hands is part of Nokia’s global corporate responsibility approach via which the company helps underprivileged children and promote creative expression.